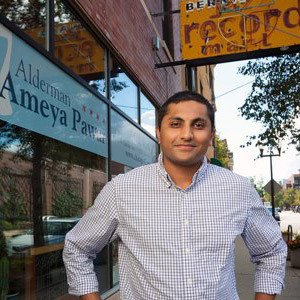 A day after the North Side’s infamous Lincoln Towing company took possession of a family’s U-Haul and their personal car in Uptown, 47th Ward Alderman Ameya Pawar is renewing his call for the firm to be outlawed. And this is the second case we know of involving Lincoln Towing's apparently illegal removal of moving trucks in 2017. Around 7:30 p.m. on Saturday night, a new Uptown resident arrived at their apartment building in the 4700 block of North Clifton with a 10-foot U-Haul truck and a personal car. After taking a quick run inside to check out the apartment, the North Side’s newest residents emerged to find their car, the U-Haul, and all of their personal possessions gone—last seen northbound on Clifton with two men behind the wheels. The victims filed police reports for auto theft over the phone, they called the cops again. A patrolman went to the scene this time and quickly figured out what happened: "Lincoln Towing illegally took two of their cars," the officer said. The cop relocated to Lincoln’s nearby tow lot with the U-Haul renters and a sergeant. By 8:40 p.m., the truck and the personal car had been returned to the kind citizens without charge. If the story sounds unlikely, it’s not. Saturday’s incident was the second case of its kind that we’ve learned of this year. Shortly before 1 p.m. on May 1, a newly-arrived Boystown resident called 911 after seeing a man jump into his idling 26-foot moving truck and drive away. 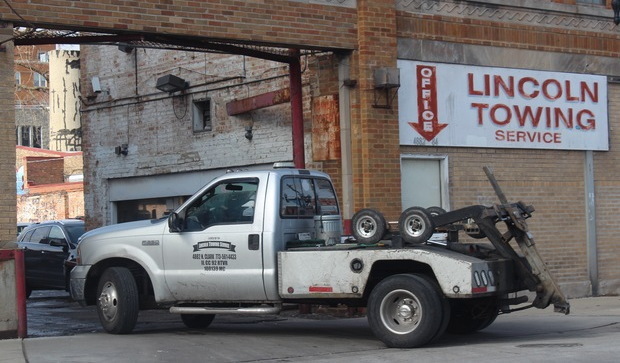 Once again, cops knew exactly where to look for the missing truck: 4882 North Clark, the home of Lincoln Towing. In May, local officers were itching to arrest the towing crew. “Criminal trespass to vehicle,” another suggested. Within 30 minutes of the first 911 call, the “owner” of Lincoln Park towing had returned the truck to the moving crew. Ultimately, no charges were filed against Lincoln Towing’s workers. It makes you wonder how many moving vans full of property the company has illegally taken from newly-arrived and uninformed Chicagoans. Upon learning about the Uptown incident this morning, Pawar tweeted to the Illinois Commerce Commission and Chicago Office of Business Affairs and Consumer Protection: “is there an update on the Lincoln Towing license revocation? Lincoln Towing needs to go,” Pawar said. The Commerce Commission launched an investigation of the company last winter after receiving consumer complaints and pressure from Pawar. But the outcome of the investigation is not clear. The company continues to operate five months after its previous license expired in July. The Chicago Tribune Editorial Board published a piece on November 10 asking “what’s taking so long?” for the governmental bodies to take action. Pawar did not immediately respond to a request for comment on New Year’s Eve.